"This Memorial Site was created to honor those who gave so much of themselves to the Northwest Region and who will always be fondly remembered by the Northwest skaters"
Northwest competition skater, Passed away suddenly on April 1st 2009. Jeannie Hidley,was a competitive skater from the Oaks Skating Club. She skated competively with her husband David Hidley from the Oaks Skating Club. 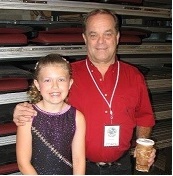 Bill Bowdridge, former northwest competitive skater, passed away on Thursday August 20th. He died peacefully in his sleep. He was 85. He was active competitor in hockey, art and speed skating and was from the Mt.Vernon/Burlington area. 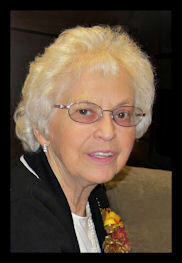 Gladys Mead passed away January 4th 2010 in Snohomish. She and her husband Ray retired to Bellingham Washington and opened the Meads Rolladium Skating Rink. She was preceeded in death by her husband of 53 years Ray Mead. 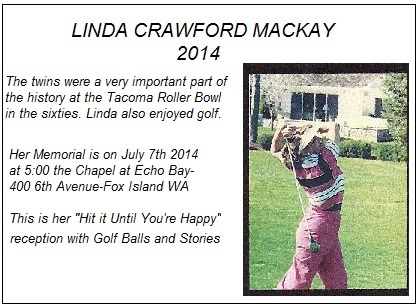 Memorial services will be 3:00 pm January 16 2010 at the Free Methodist Church in Snohomish. We have many ford memories of Gladys and Ray. Tom Torgeson, former Northwest Region skater, placewinner and also coach for many years, passed away May 31 of kidney failure. 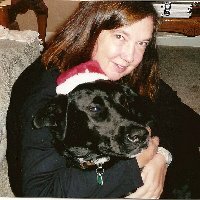 With regrets, I must pass along the news of the passing of one of our most ardent skating supporters. Frank Walsh passed away July 18th. He was 88 years of age. Another very active Oaks Club skater passes away. Matt Dunn passed away after a long bout with cancer. He recently had officiated as a figure steward at the NW Regional Championships in Portland last June. So many skaters will remember him. We send our condolences to the family. He will truly be missed by the Northwest Region. Memorial services were held for Bob Sweet, well known to the Northwest. He worked at the Marsyville Skate Inn for many, many years and before that, at the Lynnwood Skating Rink. He was skating enthusiast and was always there giving a helping hand to skaters. He enjoyed the sport and skated himself as a youth. He was very well known around the Seattle area rinks. Along with all of the others duties of working on skates, rink maintainence, he donated his time the past few years helping the Marysville club with the lighting, prop construction, for the Marysville Skating Show every year. A tremendous supporter of skating and kids. He also worked for a time as manager of the Lynnwood rink a few years ago. He loved his family and was very proud of his grandsons Scott and BJ Whitkop who are competitive skaters. The skaters from the Marysville club will miss him so very much as well as skaters from all over the Northwest. 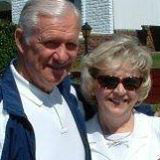 Robert (Bob) Wildermuth, spouse of Dianne Best-Wildermuth,passed away on March 2, 2012. He was a competitive roller skater in team-dance during the mid 1980's up to the early 1990's. He skated at Marysville and Lynnwood Skating Centers. Bob also was an active Seattle/Snohomish Folk Dancer. He enjoyed supporting the Seahawks and Seattle Mariners. Bob will certainly be missed by his family and many friends. His "Celebration of Life" Memorial will be held on Saturday, April 14, 2012 at 11:30 A.M. at Bethel Lutheran Church in Shoreline, WA. The Marysville Skating Club lost one of their own this year. Dara Ely died suddenly from an aneurysm February 13, 2012. Dara grew up in Edmonds, Washington, 10 minutes from a skating rink. Dara had her 5th birthday party at the rink. She enjoyed skating so much, that she and two of her siblings began to take group lessons. Dara, her sister Della, who still skates, and her brother Dan showed the talent and interest required to compete. They joined the Marysville Skating Club in the early 70's. Dara skated Figures, Team Dance and Freestyle. She left skating for a few years, then returned again to earn more test medals, judge commissions, and several more trophies in her favorite sport. After she moved to Oregon to further her career as Senior Systems Manager at Conway, she retained her interest in skating. She kept her skates handy to return to her sport, but her career and her music gigs with the band in which she was the lead singer were taking all of her time. Dara attended several Skate Camps at the Oaks, and never missed attending the Regional's there. She was her sister Della's most ardent fan. She made jewelry for Della's costumes, and her partner Bruce taped Della's husband Mike's Gold medal tests. Dara especially enjoyed Dianne Grove Werner's Regional potluck picnics. Dara's sister and brother in law, Della and Mike Sheedy were presented the "Skater of the Year" award at the 2012 Regional's at the Oaks. Dara Ely, their biggest fan would have been so pleased and proud. Dara is survived by her mother Dona, a coach at Marysville Skate Inn, her sister Della, who is a competitor for Skate Inn, her sister Dae who was proposed marriage by husband Danny while skating at Skate Inn, and her brother Dan who is intending to compete again out of the Skate Inn Club. Dara was very much a member of the Marysville Skate Inn Family, and is being gravely missed. John and Armandina Nazzaro immigrated from Chiusano, Italy settling in the Boston borough of Dorchester, Massachusetts where their children, Georgina, Larry, Olga and Joe Nazzaro were born and raised - schooled during the beginnings of twentieth century. Joe was the last of his siblings to enjoy a long and fulfilling life. Joe excelled in scholastics, sports and social life in the big city. Joe enlisted in the Army Air Corp when World War II broke out, assigned to the 401st Bomber Squadron, rising to the rank of Tech-sergeant while serving in the European Theater. Joe married Irene Dagg of Natick, Massachusetts, in 1943. Irene preceded Joe in death in 2006. After the war's end, Joe and Irene moved to Seattle, Washington, where their two sons were born, and embarked on a fascinating journey, joined by their life-long associate, Bettie Jennings, revolutionizing the sport of roller skating in the US and the world. As artistic roller skating teachers, the teaching trio moved to the San Francisco Bay Area in 1949. Moving quickly from teaching, Joe formed a partnership around his first skating center. Joe aggressively introduced teaching methods that developed great numbers of competitive skaters through a planned progressive system of group class instruction and private lessons. Joe promoted the sport through competitive athletic teaching techniques and management methods adopted by public skating facilities nationally. He continued acquiring California skating centers in Redwood City, San Mateo, San Pablo, San Rafael and Bakersfield. Along the way, Joe and his sons maintained two successful skating equipment distribution centers servicing skating centers in the Western and Southwestern states with skating supplies and retail skate equipment. Joe also developed a skate floor coating (Roll-on®) that improved competitive roller skaters performances on most skating floors in the country. In 1965 Joe originated the "Gold Skate Classic," an annual roller skating event aired that year on ABC Wide World of Sports. The "Gold Skate" grew to become the largest privately hosted competitive skating event in the nation, continuously running for over 40 years. Joe was elected the first president of the United States Foundation of Amateur Roller Skating (USFARS), dedicated to moving roller skating toward Olympic Status. Honors bestowed on Joe from his peers testify to a man of passion, enthusiasm, principles and service. A generous and giving man, a good listener and a good man with a great sense of humor is how his friends and even casual acquaintances remember him.The Roller Skating Associations (RSA) with international membership of skating center operators honored Joe with their "National Operator of the Year" award, Life Membership and installed him into their Hall of Fame. As skating teacher and coach, through the US Olympic Committee's National Governing Body of roller skating, USA Roller Sports (USARS), Joe was awarded their Life Member award, Drafted into the Coach's Hall of Fame with his wife, Irene and installed in their "Distinguished Service Hall of Fame." Husband to Irene for 63 years, life-long friend to Bettie Jennings, Joe is survived by their two sons, Joe and John Nazzaro, grandson Joseph and grand daughter Jenisa. Joe lived an exciting life - a life that never failed to benefit all who knew him. 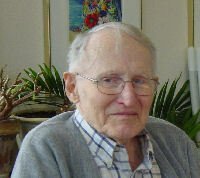 Joe enjoyed good health, good spirits, a sound mind and was within 6 weeks of his 94th birthday. A cardiac arrest took him from us quickly. Just a note to say Jerry and I had the honor of knowing Joe many years ago when he was in the Seattle area during the first years that we were skating competition. 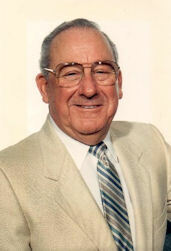 Jerry's father Ted Bruland,took lessons from Joe and Irene when he was working on his coaching credentials and was always giving a helping hand with information on the rink business. He remained a close friend to Ted, Jerry and I for many years. He was an inspiration to us and we will always remember him. 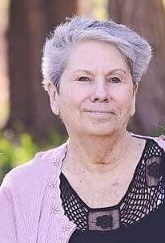 Barbara "Bobbie" Englund peacefully passed away on April 21, 2013 surrounded by her loving family at Providence Hospital Everett WA. Bobbie was born on October 30, 1930 at Tacoma General Hospital to Weston and Lauree Betts. She attended Federal Way schools from grade one though High School graduation, where she was honored with a student of the year award. She attended the College of Puget Sound and later went on to work for her family's amusement center in Redondo, WA where she learned to skate as a young girl. On August 17, 1951 she married Eric Englund. Their son Gary was born first, followed by twin daughters, Sheri and Teri. Bobbie and Eric resided in Redondo for 10 years before moving to Everett where they owned and operated the Rollerfair skating rink. After working side by side for 14 years, their dream of building a new skating rink in Silver Lake became a reality. Bobbie and Eric retired from the Skate Deck in 1999, leaving a lasting impression on so many skaters. She was a member of the Roller Skating Association for 50 years. Bobbie was preceded in death by her parents along with her sister Evelyn Pattison and brother Byron Betts. Bobbie enjoyed boating with friends of the Everett Yacht Club and cruising with Holland America. She loved watching her grandchildren's sports and performances. And most of all gathering for family celebrations especially at Sunland with her cousins at Burgess Beach, Columbia River Gorge. A special thanks to the Puget Sound kidney Center in Everett or wonderful, caring treatments the last few years. Dr. Tai and his associates Dr. Pascual and Dr. Logar, along with their staff, became her heros. In lieu of flowers, donations can be made to the Kidney Auxiliary of Puget Sound 10919 Pacific Avenue, Everett WA or the Roller Skatintg Foundation-rollerskating.org/about/dona.html. For those of you who knew our Dad, he was a husband to our mother for 54 years this June, father of 4, grandfather of 9, a comedian to all, and a great friend to everyone who crossed his path. Dennis A. King, SR. passed away this morning, May 16th, peacefully at the age of 79. While overlooking the Redondo sunrise with the fog rolling in off Puget Sound, a foghorn from the lighthouse sounded 3 times in a spiritual departure as he took his last breath. He battled a yearlong fight against pancreatic cancer. His wishes were to leave with honor & dignity, leaving this world a better place for future generations. He loved his community and everyone in it by serving with his friends at Kiwanis of Puyallup. Please click the link below to become part of his memorial page and to receive upcoming information. Our family thanks you for your support. We love you Dad. "You're a winner!" You will be deeply missed. Caroline Diewold's Celebration of Life was held at Lynden Skateway on April 27 with many skaters, family and friends in attendance. Caroline was a world renowned roller skating coach from the Northwest who taught in over 20 skating rinks and instructed skaters from United States, Canada, Spain, Australia, New Zealand, Japan and Germany. She started skating at age 11 and began teaching at age 20 and continued her career for 58 years. She started as a speed skater and then moved to artistic skating figures, freestyle, and dance with Dale Sprague Senior. We received word at Skate Camp in October that Dale Prichard, coach,friend and northwest icon passed away. Dale was an icon in the northwest at the Oaks for years and was a friend, coach, judge, announcer at Nationals and we believe he was also a radio announcer in Portland at one time. He coached both art and speed and had great success coaching on the National level. Dale is also in the Hall of Fame and Life Memberships in amateur roller skating and amateur teaching associations. He prepared many a skater for the Gold Medal Tests and skated with many of them on their Gold Dance. He always had a positive attitude and made everyone feel welcome. His smile was wonderful, his laugh unforgettable and a sense of humor that made everyone laugh. Like some have said,"the Oaks won't be the same without Dale". This link below is to an interview that appeared 3 years before Dale's death in the Tribune that is a wonderful insite to the man and his personality. Dale-Allen-Naro/Oakridge-ORDale was born in Eugene, OR, to Chester Carlos Naro and Mapril Joyce Naro, his father preceding him in death. At the age of 64, Dale peacefully passed away unexpectedly surrounded by those who loved him. Dale leaves behind two daughters and a son, Dacia, Dane and Danae with grandchildren Adalynn, Jason and Nattalie of WA. Siblings, David and Darrell, live in Antioch, CA, and Eugene. He leaves behind many nieces and nephews. Dale was a loving husband, father, grandfather, brother, uncle and friend. His family meant the world to him. He was all about love and helping others. He had an awesome sense of humor that made everyone laugh. He looked tough on the outside but had a heart of gold. He will forever be loved and missed. We rejoice that he's with the Lord. We lost him here on with stories of his exploits and adventures in the woods. Of particular personal pride was his artistic roller skating achievements topped by having been a National Senior Men's Figure Bronze medalist. He went on to devote over 40 years of professional skating, coaching several hundred youthful students in Oregon and California. Many of these students become National Champions in their own right. For the last couple decades, Dale was the head pro at Skate World in Springfield, touching many kid's lives and will be missed by all. Betty was preceded in death by her her husband NW skater and coach, Donald R. Norlen. Betty grew up in Gordo Alabama then at a young age; moved to Portland Oregon with her mom and 3 sisters. She went through the Portland schools and graduated high school from Girls Polytechnic. Before graduating she met and married Donald R Norlen and they lived in Portland and moved to various cities in Washington State and along the way had their 4 children. Not only did Betty raise 4 kids but also worked various jobs while Don worked as well.While living in Bellevue Washington, Don and Betty leased and ran a Roller Rink in Lake Hills area – leaving Bellevue in 1976/77 they moved to Gresham Oregon with their son NW Skater Donnie Norlen. In Gresham Betty started working at Gresham Skate World from 1977 till she retired in 2000/01. She managed the skating rink and was a "mother" to many employees and skaters over those 24 years. Roller skating was a huge part of Betty's life – from teenage years at the Imperial Skating rink in Portland where she also met Don, her husband. All her children skated and competed as well. Betty will longed be remembered for her love and support to so many. Celebration of Life for Elite Coach Dale Sprague Senior was held on December 16th 2:00 pm at Christ the King Church in Bellingham Washington with many family members, his skating family, friends, current and former skaters present. Dale will be missed terribly and the sport was better for his involvement. He was a true skating enthusiast and lived for the sport. Our thoughts and prayers go out to the family. Here is a partial post that was in the Memorial folder. Born March 26th 1934 in Wenatchee Washington. 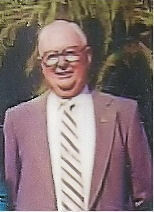 Dale was a world renowned Roller Skating teacher for aover 60 years, a Skating Rink Operator in Ferndale Washington, for 20 years as well as inducted into the Hall of Fame in 2000. While teaching roller skating, he also managed to work at the Boeing Plant in Everett Washington, and play drums in several big bands locally. Dale loved playing the drums along with cool cars, high end stero equipment and big band/jazz music. 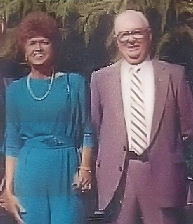 Dale also loved the Oregon coast, where he visited as much as he could and married his second wife Peggy Sprague. He was a devoted family man who loved them with everything he had. He also loved his skating family who was a huge part of his life. He is survied by his loving wife Peggy, children, Dale Jr., Jeff and Terri Sprague, Dawn Finsrud, and Keven and Angel Finarud, along with 10 Grandkids, and 10 Great Grandkids. Vera was a avid support of our sport. She coached in Washington, was Chairman of the Northwest Teachers Association for many years and was an enthusiastic, energetic coach. She will be missed by many. 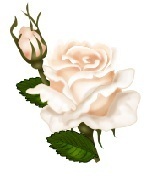 Our sympathy to the family and friends of Vera. At this time we have not received all the information but will add when received. I am incredibly sad to share with everyone that Vera passed away. Her daughter, Kinda, was with her. She put up a good fight, as we all knew she would. Vera was an amazing woman. She was a teacher, a skating coach, a friend, a mother, and a grandmother. She was a great force in the roller skating community, and her experience and knowledge will be greatly missed. And I know we will all miss her friendship and humor. Personally, Vera gave so much to me. She taught me to work hard and not take crap from anybody. She helped me develop a sense of independence, an appreciation for the world and everything in it, how to read a map and find my way any where, and FUN. We had so much fun when we traveled. But most of all, she gave me love. She loved me like I was her own. I am proud to be #4, Vera. We all love you and will miss you greatly. John grew up in Rhode Island and Massachusetts. After graduating high school, he worked for a short time before joining the United States Air Force. John served for 14 years, in Europe, Thailand and Vietnam. After his time in the service, John worked at Boeing for about three years, installing electrical components on airplanes. Subsequently, he went to work for the federal government at Keyport as an Electronics Mechanic. He retired in 1992 as an Electronics Mechanic Supervisor after 36 years of federal service. While working at Keyport, he met the love of his life, Carolyn-Ann Laine. They were married on August 15,1987 in Port Orchard, Washington. After retirement, John and Ann traveled to all 50 states, most of them in their motor home. They also enjoyed cruises to the Mexican Riviera and the Caribbean. John and Ann volunteered their time together at St Gabriel's Catholic Church youth group in Port Orchard. John was a national level competitive roller skater for 55 years. He received many first place awards in both artistic dance and figures. He was also a coach, judge, referee and tabulator during his roller skating career. He was part of the Northwest Roller Skating Foundation, at one point becoming president of the foundation. His wife Ann designed and hand made all of his costumes. 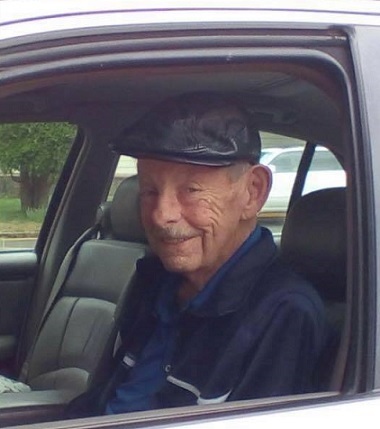 In addition, John enjoyed bowling,riding his bicycle and motorcycle, and spending time with his family. John and his oldest son Mark rode their bicycles from Tacoma,Washington to Crescent City, California in 1981. John was preceded in death by his parents. He is survived by his wife of 29 years, Ann; his children Mark (Lisa), Patricia (Steve), Tim (Yolanda), Aaron (Daniella),Rachel, Matthew (Leora), Michael Laine (Gwen), and John Laine (Cyndy); his sister Marion Parchesco; 16 grandchildren; as well as 3 great-grandchildren, with another on the way. Services for John was held on Friday, December 16, 2016. Rosary at 10:30 am at St.Gabriel's Catholic Church in Port Orchard, followed by a funeral mass at 11 with graveside service with military honors.